I'm having a time getting my pile of 98 Bronco parts into a running bike - I've rebuilt the lower end and gotten everything back together up to the top end. Now, unless something has gone horribly wrong, I'm finding the pushrods are about an inch too short for the rockers! I inherited this project with a carcass and miscellaneous parts from a 125 and I'm wondering if somehow the pushrods got mixed up. Everything is mocked up, but seems to be seating fully, so I'm baffled as to why there's such a gap. Lifters and cam are in place, right tappets on the right sides, etc.. Does anyone know what the difference is in length between the 98 and 125 pushrods? These measure roughly 6" and 6 3/4". Would like to confirm they're the wrong ones before I have some custom ones made- OEM are kinda hard to find. Looks like the long ones are what you need. I would assemble it with the longer pushrods, then turn it over slowly and see if there is any interference/binding. It's really not rocket surgery! I had the dubious honor of assembling a '54 MV Agusta OHC single that was a pile of parts in a box without any info other than the owners manual, it was a bit of a puzzle but if you looked at it long enough it all made sense and it wound up a runner! @Craig - thanks for that, I'm in the Pushrods Yahoo group, but just getting radio silence when I ask about pushrod lengths. 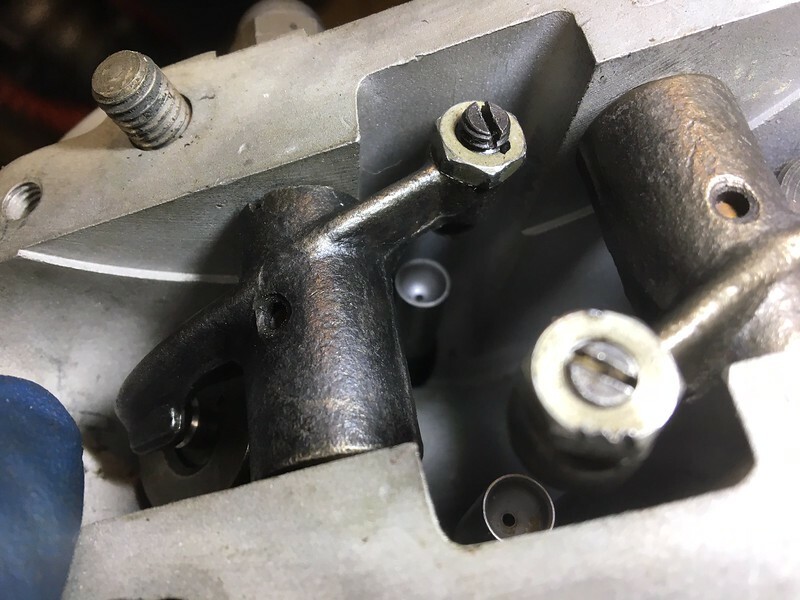 @dietz - Sorry, I may not have been clear: my 98 engine came in pieces with a single set of pushrods (intake and exhaust are slightly different lengths) - I'm finding that set of pushrods are too short (in either configuration) by an inch or so. My question is if anyone knows the difference in length between the 98 and 125 pushrods, with the hypothesis that I have the wrong ones and need to find some that are ____ length. I've rebuilt quite a few top ends w/ pushrods and I'm boggled at the discrepancy. My next step would be to just order custom ones, but I thought surely someone would know. 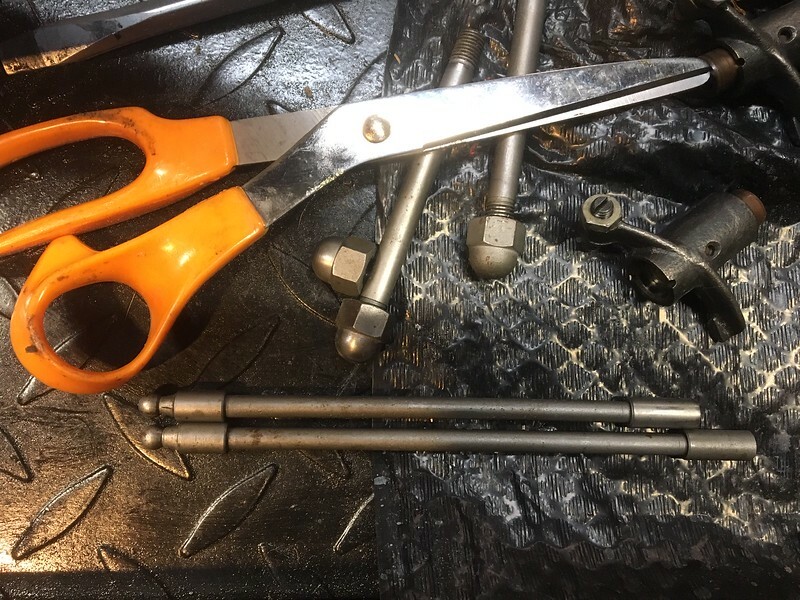 Well some good news is that I figured out that the pushrods are for the 125 - the bad news is I'm building the 98, which has a different pushrod setup: balls on both ends of longer rods and the socket on rocker arm. Don't suppose anyone has a spare set of 98 rods/rockers? eBay is slim on 98 stuff.